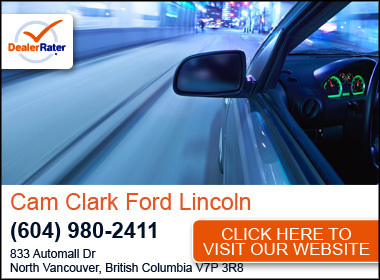 First, Cam Clark Ford Lincoln Vancouver would like to personally thank you for expressing interest in our website. We are a Ford and Lincoln car dealership that happily serves the greater North Vancouver areas such as Vancouver, Burnaby, Coquitlam, Richmond and Surrey. We of course carry all the new Ford and Lincoln cars plus a vast selection of used car, but offer lots more to our customers. Recently had a water leak repaired in my 2016 Lincoln MKX. I may have not agreed with a Ford/Lincoln’s unwritten policy of wanting me to pay for a windshield replacement - they said it had to be removed to properly fix the leak originating from the windshield seal - when they were going to break it. The vehicle is still under full warranty! Anyway, with Service Advisor Will Leung’s patiences and persistence the leak was successfully fixed with expertise of the tech. Yup, it was patched up without removing the windshield. Like I said earlier, not impressed with Ford/Lincoln or the Service Manager’s thinking, but Will and the tech were awesome! I have visited the Cam Clark Service Dept several times and found the other Service Advisors quite friendly and helpful. I do find the set up strange. It’s awkward and not very inviting. You show up with your vehicle and just stand in front of the service desk not really knowing what to do... the odd time you get acknowledged but most times you just stand there awkwardly waiting to get called upon. Again not a sign of the staff, back to Ford and the dealership. For all the dealer service depts I’ve been in, this is by far a 1 star experience. Again, the people experience was great, the service dept experience/facility, not so great. I have been taking my vehicle for scheduled maintenance services to this dealership for over 9 years. The service department personnel are very good at explaining what services are required or if I let them know of an issue with my vehicle, they will check it during the service and call to let me know if any repairs need to be done or if it was something they were able to resolve during the service. I have never felt like they wanted to up sell me on anything. I find they are honest, and don't make me feel that as a women, I don't understand anything about cars. My overall experience with this dealership has been excellent from the day I purchased my first vehicle and have purchased my second vehicle from this same dealer. My recent visit to the service department was handled by Steve and his customer service was a 10!! This dealership is simply the best there is. I travel over 100KM to come specifically to this Cam Clark. They have the best staff in every department who always go out of there way to ensure you have a great experience from the free coffee and shuttle service to the thorough service explanations. My car always comes out cleaner than it went in and with a full inspection. With this Cam Clark Ford Lincoln you will be never disappointed, always satisfied. "Spring maintenance and tire rotation"
Service is first rate. Service advisor, William Leung, reviewed options with me, and suggested the service to be done. Because of my distance to home, I waited in one of their sales cubicles. Service was completed when promised. Very satisfied. Fast, efficient and friendly. The same as it always is when I come in for my regular service. The ride to the mall, free coffee and car wash are much appreciated also. "Full attention to customer "
I am a first time new car buyer and you made buying this car was a wonderful experience. The salespeople were helpful and make the paperwork go smoothly.. Thank you. "Love my New F150 Limited"
"Highly professional, friendly and respectful." On my second visit to the dealership, I spotted almost exactly the used vehicle I was looking for, and at a lower price than what I'd found on-line at other dealers. Sales rep Trevor Morrisette immediately arranged a test drive, answered all my questions, and the deal was soon sealed. 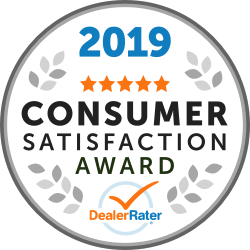 I also appreciated finance director Chris Deal's respectful, low-key presentation of the various extended warranty and care plans, without any of the high-pressure (sometimes insulting) scare tactics I'd experienced in the past at other dealerships. Trevor also kindly arranged a joint meeting with ICBC for my own new insurance, as well as for my young godson to whom I'd sold my old car. A very pleasant experience in all regards, and I would highly recommend Cam Clark to friends.